What is Antivirus? 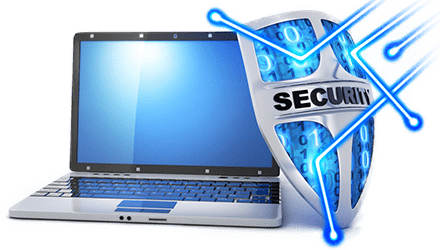 | Why Anti-Virus Software for Your Devices? An antivirus software is commonly used by individuals and enterprises to protect their digital environment. It is an application used to identify, block and remove viruses and any other malware like Trojans, Spyware, Adware, etc. Protecting a system is vital to keep data out of the hands of hackers. Identifies and eliminates malicious code and sends an alert to the user. Stays up-to date with latest virus definitions to ensure detection and elimination of new malicious threats. Why do we need antivirus software? Any system that lacks an effective antivirus software is vulnerable to malware infection when connected to the internet. Also when a user clicks on any suspicious links or attachments that are sent across emails, the system is vulnerable to malicious attacks. Antivirus scans suspicious files and compares the files' code against code in the database. If the code pattern is identical to known malicious code in the database, the suspicious file is considered malware, and the antivirus quarantines it to a separate space or deletes it. All the program files are scanned as they enter the system with the help of the antivirus scanning system. The executable codes that match the signatures are considered as viruses and are blacklisted. The other files are then passed through Defense+ and Host Intrusion Prevention Systems/ This allows the known files and the unknown files to be quarantined with the Defense+ Sandbox System. The files that are quarantined are restricted to run within a certain environment. The good files are added to the Whitelist, while isolated ones are passed on to lab analysis. Antivirus works to scan directories, files or the complete system/device for malware activities. The malware activity identified through the scan are presented to the user, and the system is cleaned upon the user's request. This ensures that the system is malware free and hence prevents security breaches and other data theft. It also prevents the malware from slowing down in system performance. The Comodo Internet Security System also has a "Secure Shopping feature", to help users enjoy a secure shopping experience, ensuring that the sensitive information is not tracked and stolen. A "Virtual Desktop" lets users open suspicious websites and applications in a secure and isolated environment, which does not interfere with the normal operations of the system. There is built in URL filtering which obstructs malicious websites to keep users safe online. All the features are put together under one umbrella called the Comodo Security Suite, and gives complete 360° protection against any malware issues with absolute prevention, detection and protection for the users' system. 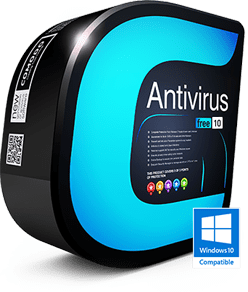 Advanced antivirus software that verifies all executable files and programs and validates them with the existing list of viruses and malware. It also verifies if the unknown executable files are malware. Executes all applications or programs to check how they perform in a virtual space. Validates the application performance, and detects if the program is malicious or not. Examines files for malware traits while the file is executed. This mechanism can identify if the file or application is a malware only when it performs malware actions. One of the most recent methods employed for malware identification, data mining examines the features of an application or program to help decide if the program is malicious or not. This type of detection is combines with signature-based detection to identify any new malware or its variant, even without the latest virus definitions.